More on KU , a Rafflecopter, and the upcoming release of Fool’s Gold! Today I’m over at at Authors Speak at Rainbow Gate talking about my ongoing internal debate about whether or not to give KU a chance with my upcoming release of Fool’s Gold. I’ve posted about this before, but I have gathered new information since then, and guess what? It hasn’t made the decision any easier. I think what it’s going to come down to is doing it on a trial basis and seeing how it compares to the kinds of sales I’d expect otherwise. I mean, I won’t really know unless I try it myself, right? 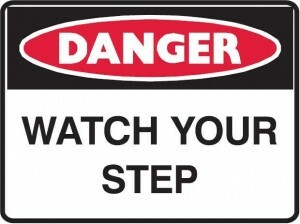 But if you’re also sitting on the KU fence, you’d be wise to read my cautionary tales in the Authors Speak post! Heck, even if you’re not sitting on the fence–if you have stories in KU, you’d better keep an eye on things! In other news, we’re holding a Rafflecopter giveaway for those who sign up to follow the Authors Speak blog! Check out this post to participate and find out what you could win! I’m also pleased to announce that Unspeakable Words is getting a makeover, with additional scenes that will expand it into a full-length novel! Unspeakable Words is the first major story I ever had published, and this revision is something I’ve wanted to do for a while now. It only makes sense to have all the stories in the Sixth Sense series in the same format, and it had always bugged me just a little that UW was only a novella while the other stories were novels. So yay for Dreamspinner to allow me to publish a second addition! Hopefully it will be out by March of 2017. I’m also pleased to announce Dreamspinner has picked up my Christmas-themed story called Holiday House Swap! When a reclusive writer on a tight deadline trades homes for the holidays in order to get fresh perspective, the last thing he expects to find is the actual owner in residence. Misinformation, misapprehensions, and general hi-jinks ensue. It’s one of my favorite tropes–the home for the holidays story. I think you’ll find it loads of fun. 🙂 Tentative release planned for December 2016. 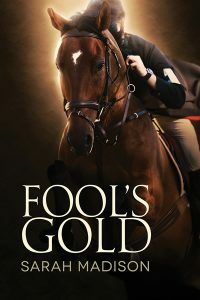 But before both of those, I’ll be releasing my sport horse story, Fool’s Gold. It’s being formatted now, and I hope to have it available within the next few weeks–I’m timing it for the 2016 Summer Games, as it has an Olympic storyline. There will be a book tour soon, and I’ll be posting some excerpts as well. This story has a lot of personal meaning to me, as I used to event myself before I had to retire my mare from competition due to arthritis. This entry was posted in Uncategorized and tagged announcements, atuhors speak, book tour, Dreamspinner Press, eventing, Fool's Gold, gay romance, giveaway, GLBTQ, Holiday House Swap, horses, kindle unlimited, male male romance, rafflecopter, Sarah Madison, The Sixth Sense Series, Unspeakable Words, upcoming release, writing by Sarah Madison. Bookmark the permalink. Yaay for Fool’s Gold. Do you want a release day review for it? Let me know the exact date and I’ll Goodreads it for you. Aw, you are so awesome–thank you! As soon as I get a release date, I’ll let you know! Sarah Madison recently posted..More on KU , a Rafflecopter, and the upcoming release of Fool’s Gold!